As the U.S. economy marked its 90th consecutive month of positive job growth in March, attracting and retaining skilled, affordable labor has become paramount for business. In fact, labor costs and the availability of skilled labor are the second and third most important site selection factors, according to Area Development’s 2017 Corporate Survey. Henrico County’s deep labor pool and workforce development pipeline was one of the main factors in Teleperformance, a French firm offering customer service and experience management, locating in the area. 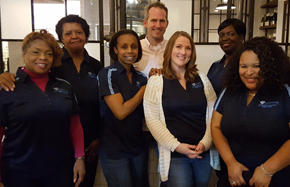 Since opening its Henrico-based call center in 2014, Teleperformance has grown from a staff of zero to 900. While talent in the area is abundant, developing and retaining a staff of 900 requires innovative recruiting efforts and a positive workplace environment. Amber Brown, Teleperformance Director of Talent Acquisition, charged with recruitment and workforce development, took a unique approach to building the company’s local workforce. “While other corporations had name recognition that brought candidates to them, we were new,” she explains. “No one knew who we were or what we offered regarding a career and work environment.” Since Teleperformance’s jobs strongly appeal to young professionals, she knew she wanted to engage technology and have some fun along the way. “We started using social media and engaging humor to attract attention,” says Brown. “We wanted to have fun and put positive energy out there to attract employees who value those things.” During a 5K race through a blow-up obstacle course, Teleperformance staff wore inflatable sumo wrestler costumes to attract attention to their team. And once, during a Color Run, Brown wore a white wedding dress and invited other attendees to “Say Mess to the Dress” by painting on it. “Any time we participate in something like that, it helps generate inquiries, which grows into job candidates and then new hires,” says Brown. As a customer service and call center, Teleperformance often has specific programs or campaigns that require hiring as many as 300 employees in one month. Brown found strong support from the local workforce development system to help her successfully reach those ambitious goals. Her recruiting network includes local schools and technical centers, military organizations, job coaches, career prospectors, the Virginia Employment Commission office, and others. “If you don’t have community partners yet, that’s step number one,” she explains. 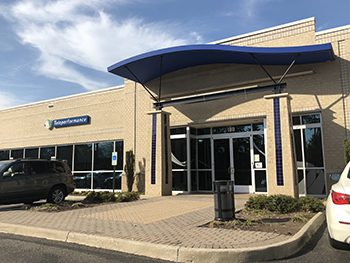 Teleperformance and many other companies have found great success in Henrico’s combination of able labor force, low taxes, and central location. Henrico and the Richmond region offer a dynamic climate for cultivating talent and providing the network of support businesses need to grow. While other metro areas feel the squeeze of a tightening labor market, Henrico and the Richmond area’s workforce networks and rapidly expanding pool of talent are poised to drive economic growth. *90,000 yearly graduate figure includes colleges and universities located within two hours of Henrico County.